That's one way to get around the 30 caliber pellet shortage. The fact that you can't get them anywhere right now has me holding out on a new gun purchase. Which of the molds did you get, and what are you using for your lead? I've cast tons of bullets for handguns using ingots and free wheel weights in the past. Does the mold cast one at a time or a bunch? whats it cost to make 150 pellets? Less that $3 in lead. I cast in pure lead. 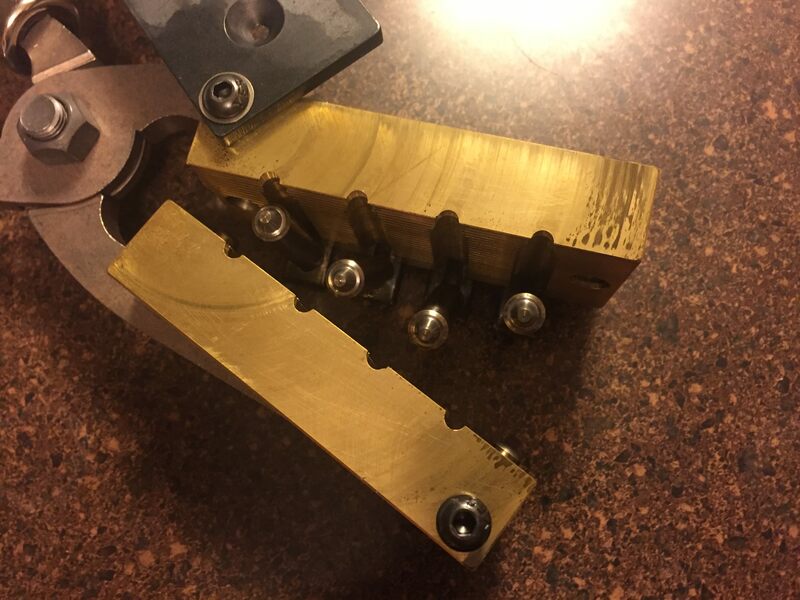 NOE still have some 4 cavity brass molds in stock. I'd like to see pictures of the .30 molds, inserts and pellets if you care to share. 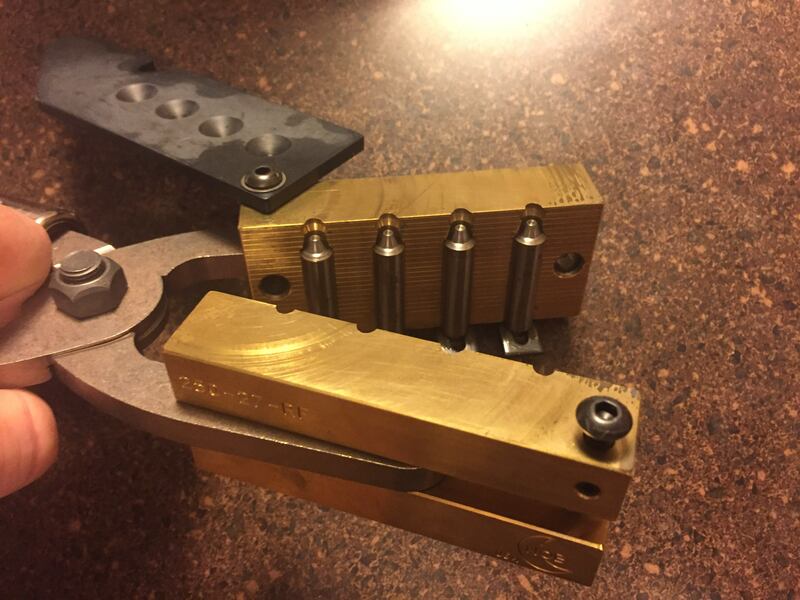 This is a .25 cal brass mold, but the .30 is setup the same way. Interested to see how they compare accuracy wise also. Love that flat meplat. I have the 2 cavity aluminum mold. Would rather have the 4 cavity but sold out. 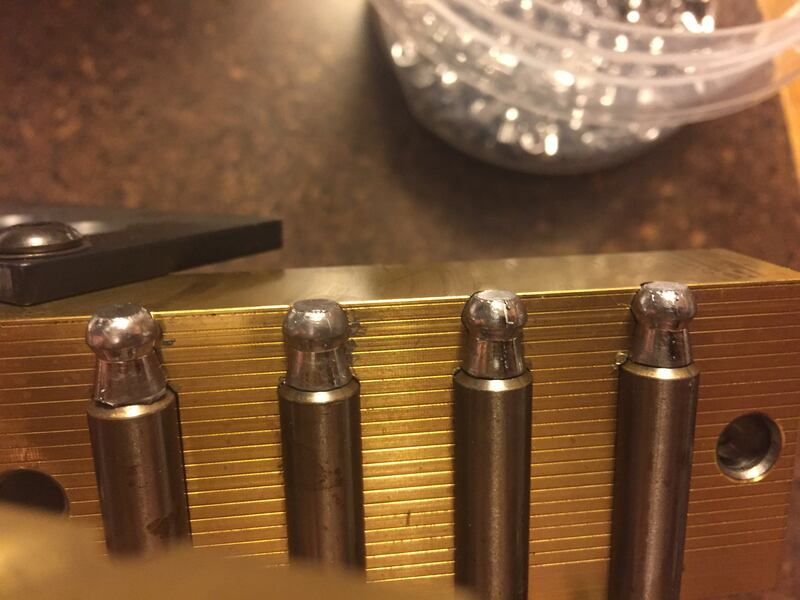 Below are pics of my mold and the pins that come with it. 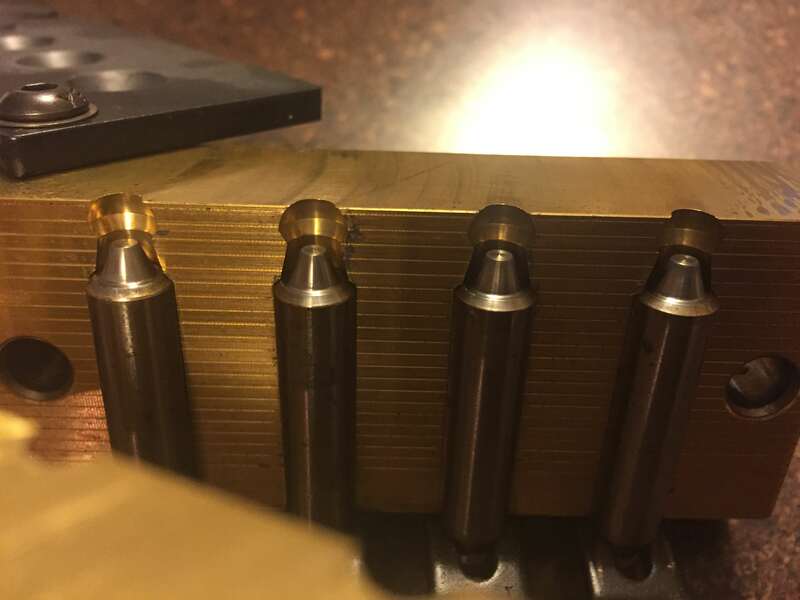 I tried the pins for 46 grain and the flat ones for a completely solid base. The solids don't fly at all. Don't think I would have gone 30 cal if I couldn't cast my own. Michigan is not being friendly right now so it may be awhile before I post groups. 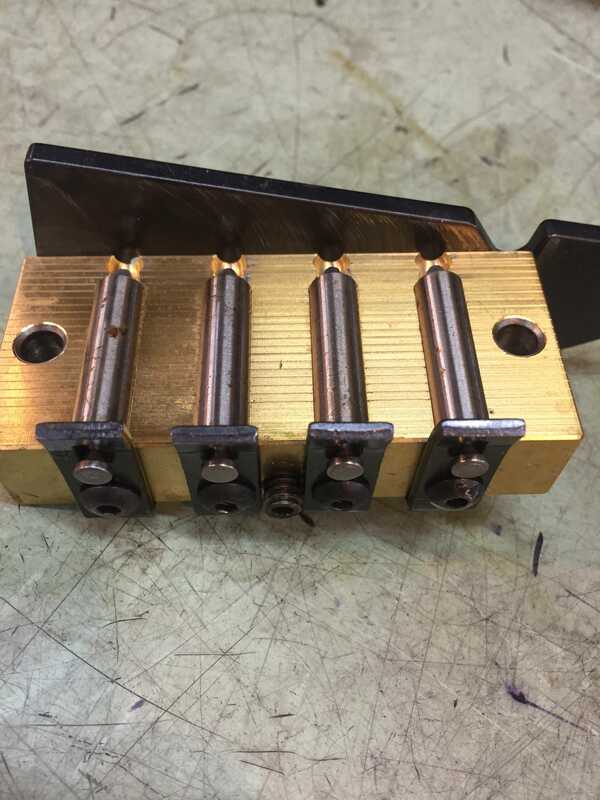 Has anyone ever tried one of these molds in 0.25 either this hollow-point version or the non hollow-point version? How do they work out of the LW Barrel? I have the mold in the flat nose. Currently trying to sort it out for sizing and fps in my Airforce Condor. First time to the range with the cast pellets. 27 degrees in Michigan so not ideal conditions . To further complicate the situation I left the stock screws home on the work bench lol. I had been adjusting the hammer spring in my new .30 Wildcat and forgot to put them back in. Therefore the action was just sitting in the stock. Anyway I was still amazed at how they shot. Tight group has 5 shots in one hole with 2 flyers. This is a 7 shot group at 50 yards. Pellets were unsorted right out of the mold. Should be at least weight sorted as they vary up to a full grain and some skirts are a bit rough . Other 7 shot group is a ragged spread using 44.74 JSB's. This NOE mold certainly has potential. BTW this is the very first time out with this gun also. This reply was modified 2 months ago by shamu.